There were also several mint Western meds. along with the bourbons; Dr. Vincent's Magic Cough Cure San Francisco, Perry's Last Chance, Goldstein's I.X.L. Forida Water, and a Crane & Brigham Florida Water. This years Downieville Bottle Show is slated for the weekend of September 10th. 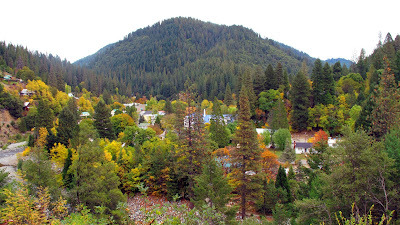 The festivities kick off on Friday afternoon with a wine tasting event followed by a western style barbecue at the "Old Downieville Brewery" and home of Rick & Cherry Simi on Main Street. All show dealers and their guests are welcome at the tasting and BBQ. The wine tasting event is hosted by Will Clark of 49er Wines and features wines from the California gold country. The tasting lasts from 5:00 pm until we start serving the BBQ dinner around 7:00 pm. if you are planning to attend the Downieville show don't miss this popular Friday night "kick off" to Saturday's Bottle Show and Sale. For those of you who are staying in Sierra City-we have arranged for a shuttle to bring you to the BBQ and then take you back to your motels. No worries about driving on Hwy 49 for you! Please email me to let me know if you are staying in Sierra City and we'll make sure you are on the shuttle list. We will be setting up the show venue and display cabinets on Friday afternoon and dealers are welcome to drop off their sale merchandise during Friday afternoon. Warren Friedrich is once again coordinating the bottle display and Warren has quite a few rare and important western bottles from prominent western collections featured in this year's display. There is also a lot of interest in early digging pictures and we are planning a display to feature your photos! Bring a couple of digging photos and we'll post them on the board for comments and discussion. Fun memories to share about some great digging adventures! Dealer setup on Saturday September 10th. is from 7:00 to 8:00 am. Early lookers can enter the show from 8:00 am to 10:00am for a $10 early looker fee. After 10am admission is free. The Downieville Fire Auxiliary will be serving a full breakfast and lunch menu during the show and sale on Saturday for those of you that wish to eat at the show. If it's your first time attending the Downieville Show-expect to slow down and step back into time in this quaint little gold rush community It's the perfect setting for an old-fashioned, down-home Bottle Show and Sale. Got a "bottle email" this morning. Well, actually a bunch, as usual... But one stood out. A request for help identifying a shard. I'm good at it. One of the few things that I'm really good at. Show me a chunk of a whiskey with a couple of letters and I'll nail it 99 out of 100 times; normally at first glance. So what's so different about this email? It was from a professor emeritus of anthropology at one of the largest universities in California. That's what. A moral dilemma if ever there was one. I read, and re-read the email. Most of you know my feelings about Oregon archeologists and anthropologists. But this person was from California; in fact my old alma mater... And it's still legal to dig in California. And so reason and a sense of duty kicked in. Here's the "transcript" of the correspondence. I recovered fragments of an embossed whiskey bottle at an archaeological site about 20 miles north of Fort Bragg, Mendocino County, California. The site dates from late prehistoric up to circa. 1920. The bottle is clear glass. I think the two fragments are from the same bottle. From these small clues, can you identify the brand name of the whiskey, and the name of the "Sole Agent"? As a prehistoric archaeologist, I'm pretty much out of my league on historic bottles. Thanks for the email. Always nice to hear from my old Alma Mater. The bottle shard that you recovered was blown for the firm of A. Fenkhausen & Co of San Francisco, Ca. Here is a brief synopsis of the man, the company and the bottle. Amandus Fenkhausen entered the wholesale liquor business in burgeoning San Francisco in 1861 as a dealer in "wines and liquors". He originally located the business at 322 Montgomery St. and resided on "Mason between Broadway and Vallejo". He also owned a saloon on Kearny St. for a couple of years during the same time period. In 1864 he decided to focus strictly on the wholesale end of the liquor business. In 1868 he partnered up with C.P. Gerichten, also a native German. The business relocated to 322 California St., did well and was sold to Wolters & Fecheimer in 1874. Fenkhausen took a year sabbatical from the wholesale liquor business, after the sale of the company, and re-entered the fray in 1875, locating at the corner of Front and Sacramento Sts. in S.F. The business, at that time, was listed as A. Fenkhausen & Co. In 1878, he established a partnership with Herman Braunschweiger and opened a "store" located at 414 Front S.t (actually the same address previously recorded as "corner of Front and Sacramento Sts.). The1878 directory lists them as "retail liquor dealers", as well as "liquor - importers and wholesaler". It was during this time period that they became agents for Wm. H. Spears Old Pioneer Whiskey and commissioned a San Francisco glass works to have a mold cut and produce amber bottles with the picture of a California Grizzly Bear on the front. This bottle has become known as the "two name bear" and is exceedingly rare, with about a dozen undamaged examples documented to exist. It was only produced in amber glass and the tops were crudely applied. The examples that I've seen range in hue from nearly lemon yellow (dug Jacksonville, Oregon ca. 1980) to shades of orange and straight amber. All were crudely made and have strong strikes. This partnership was also short lived, and was dissolved in 1881. Fenkhausen trademarked the "Old Pioneer" brand after the split, and continued to sell it in redesigned bottles that were embossed only with his name, "A. Fenkhausen & Co." where both names had been located previously. This was accomplished by repairing the old mold, as opposed to incurring the expense of entirely new mold, and the mold was used until the mid '80's when it wore out. A new mold was commissioned in the mid 1880's and differs from the reworked mold; no slugged repair area. This variant also has an applied top and is seen in shades of amber. Approximately two dozen of these survive in collections. This mold was used until sometime in the mid1890's. In the mid nineties, Fenkhausen, along with a number of other German liquor wholesalers, commissioned the firm of Abramson Heunich to have a German glassworks cut a new mold and manufacture bottles in Europe. These differ from the domestically produced bottles in that they are of clear glass that has a slight straw caste. This undertone was the result of adding selenium dioxide as the decolorizing agent. They also have an applied top, and are generally quite crude with notable whittling. Later yet, around the mid 90's, a new domestically produced mold of the picture bear was produced. It was generally blown in clear glass that utilized a manganese dioxide decolorizing agent that allows the glass to turn purple when exposed to UV radiation (ie: sunlight). There are over three dozen of this variant known to have survived. There are also roughly one half dozen examples of this mold variant in collections that were blown with amber glass. Both clear and amber versions of this mold were made using advanced production techniques, have tooled tops, and a depth of embossing that makes one think that the bear is ready to walk off the face of the bottle. Fenkhausen also had a more generic bottle produced that allowed for paper labeling of products other than the flagship Old Pioneer brand. It is embossed simply, "A. Fenkhausen & Co. / large logo / San Francisco". The bottles were produced both domestically, and in Germany and date ca. mid 1890's . The last record that I could find in the Langley directories for Amandus Fenkhausen was 1893. He vanished into history with the publication of the 1894 edition. Attached please find photo documentation of most of these molds for your inspection and comparison. Please feel free to touch base if I can be of any further assistance. I'm hoping that this shared knowledge goes a ways toward furthering our stature as amateur archeologists and historians and, just maybe, paints us as something more than simple pot hunters in the "professional" circle. A few years ago I drew a sketch of the J.F. Cutter Extra logo during a plane flight to Reno....after reading my John L. Thomas whiskey book! I also threw in the pick and shovel as the means for unearthing many of the old bottles we search for and collect. Recently, while on my honeymoon in Maui(Lahaina), my wife encouraged me to join in with her and get a tattoo of something I am passionate about. And although there is certainly much more to life than digging and collecting old glass, it is a pretty accurate representation of the things I love to do and what I focus on most during my free time. I decided to pass on a more generic tattoo like an eagle, flames, or barbed wire, and so chose something that was more unique to what I like. Unfortuneately, I won't beable to make it to the Reno,NV Show this year, but thought this would serve as a fitting reminder of the awesome J.F. Cutter "Star & Shield" Showdown display at last year's Show. Here is an interesting labeled square with a familiar name represented on the label. You may recall that the Wormser Bros. filed for a trademark of the Golden Sheaf brand in California in Oct. of 1867. See Wormsers posts of Feb. 2009. I'm not sure of the relationship, if any, of Wormser and C.A. Richards. The square Richards bottle is found fairly often in the west, I seen a couple of extreme "backward N" versions over the years. Normally the bottle is quite ordinary. This example is currently listed in the Glassworks Auction beginning July 11.